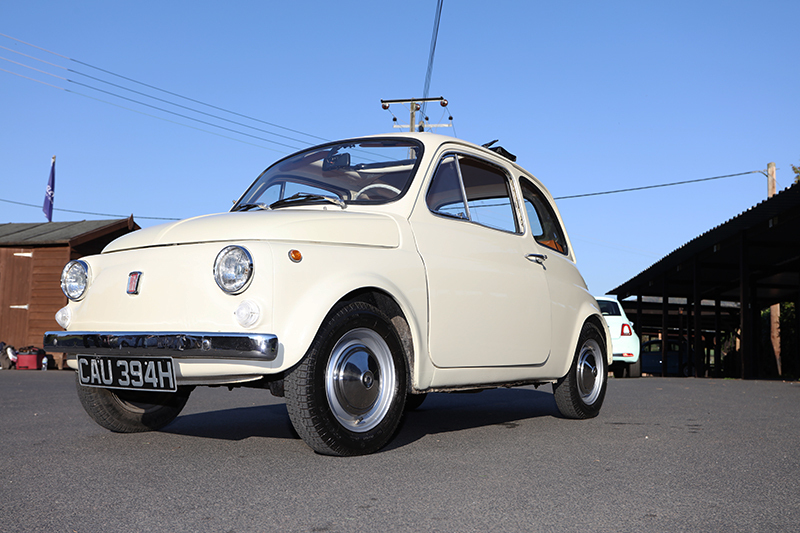 For Olivia’s Fiat 500 wedding car rental business, it is vital that she keeps on top of this tiny car and ensures that it always looks its very best for her discerning clientele. 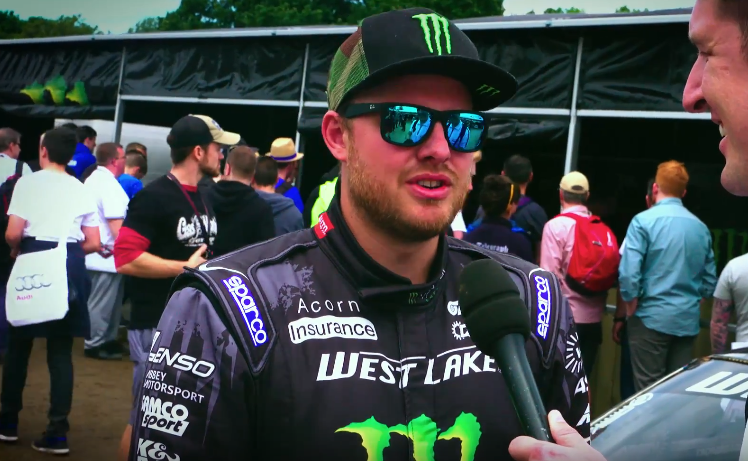 We headed over to this little memory-maker’s home, Shelsley Walsh Hillclimb, where Toby Moody (Olivia’s husband) is heavily involved in the running of regular hillclimb and weekly social events, as a Director on the board. 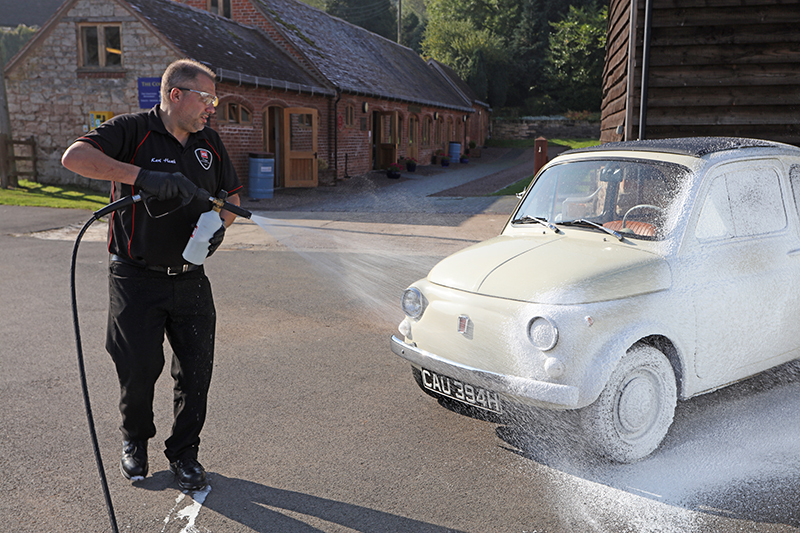 This Fiat 500 forms part of a very impressive fleet of classic vehicles at Shelsley– including the E30 BMW M3 Cecotto edition that appeared in a recent blog for one of our famous big cleans in the Autoglym Academy. 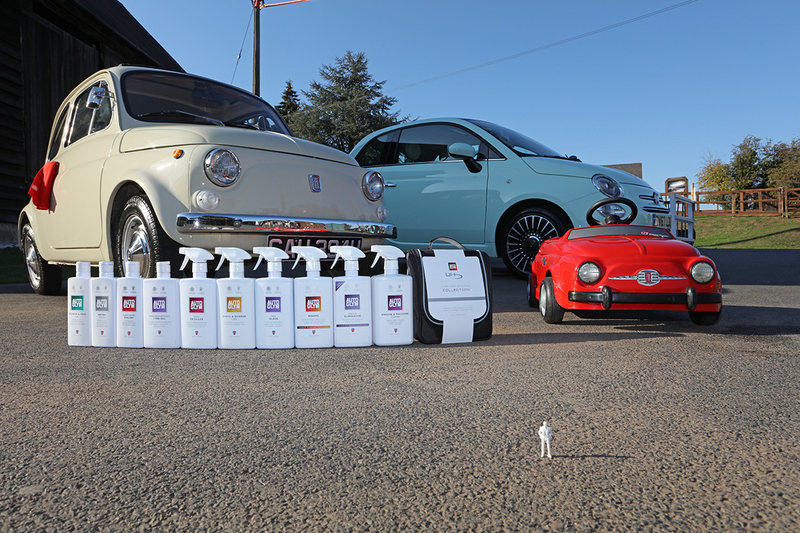 Along for the day was also a brand new Fiat 500 courtesy of Fiatuk, and a tiny scale model version that Toby and Olivia’s little lad, Luca, was happy to have snow foamed as well on the day! 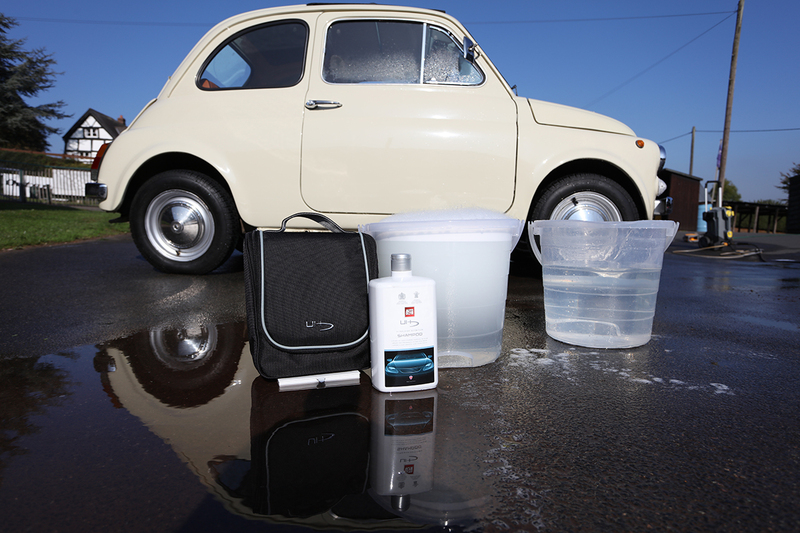 Now, the process of cleaning a bona-fide classic often involves slightly different methods and products from the norm. 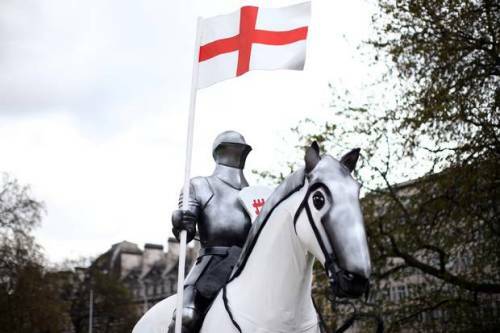 Protecting the often single-stage paintwork, with no separate coat of lacquer over the top, often means that harsh abrasives and polishing gradually lifts the paint from the panels. 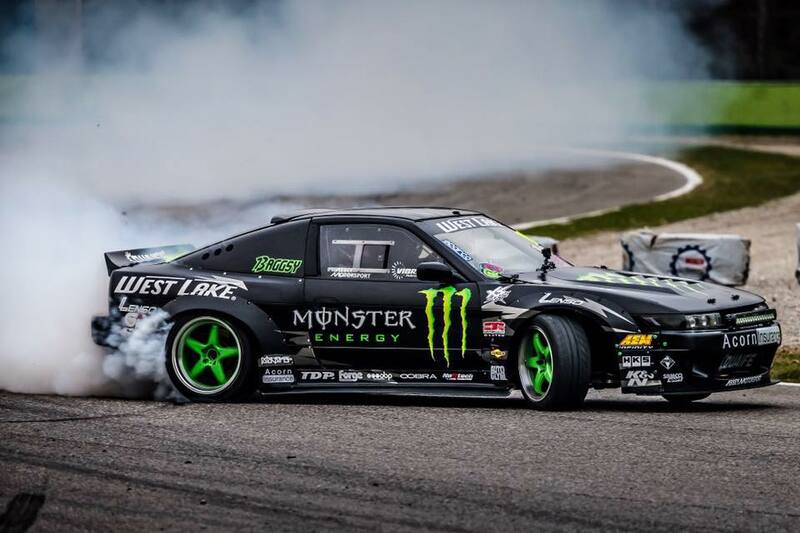 If you’re too aggressive or keep going at the paintwork with abrasive products there’s a chance you could even end up back to the primer in extreme cases. Without an ultrasonic depth thickness gauge to measure the paint in microns, it can be hard to tell exactly how much paint is actually on the panels you’re looking at, and as those gauges tend to cost upwards of £100 for a reliable one they’re very much a luxury item for professionals. 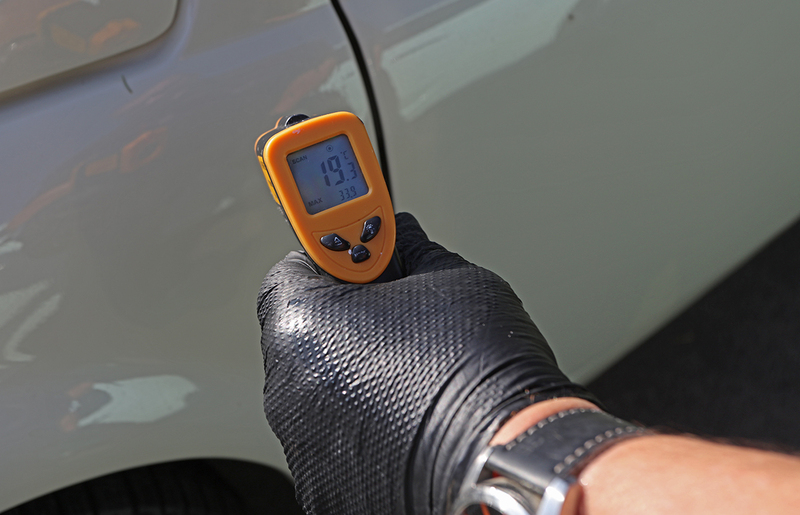 Once you’ve established the thickness of the paintwork the next thing to do is measure how hot the paintwork is. 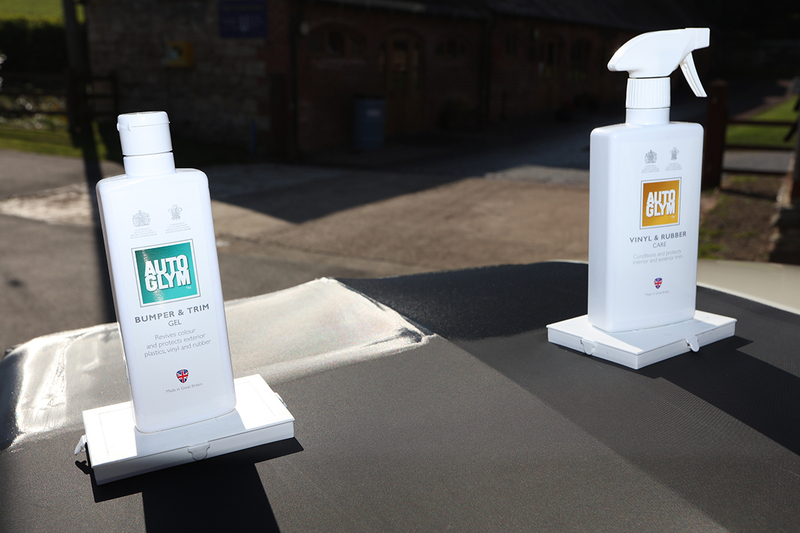 Although we took the photos on a beautifully sunny day, it was actually deceptively chilly out, so there were no worries about the products drying on too quickly, especially the case with our Magma fallout remover. Measuring paint temperature is useful to assess whether the products are going to dry too quickly. 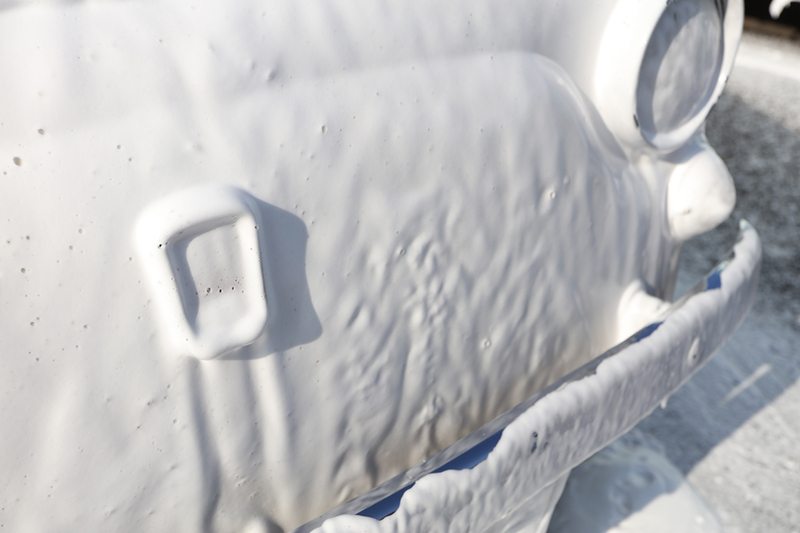 Keeping the bodywork nice and wet ensures nothing can adhere to the paint during drying time. 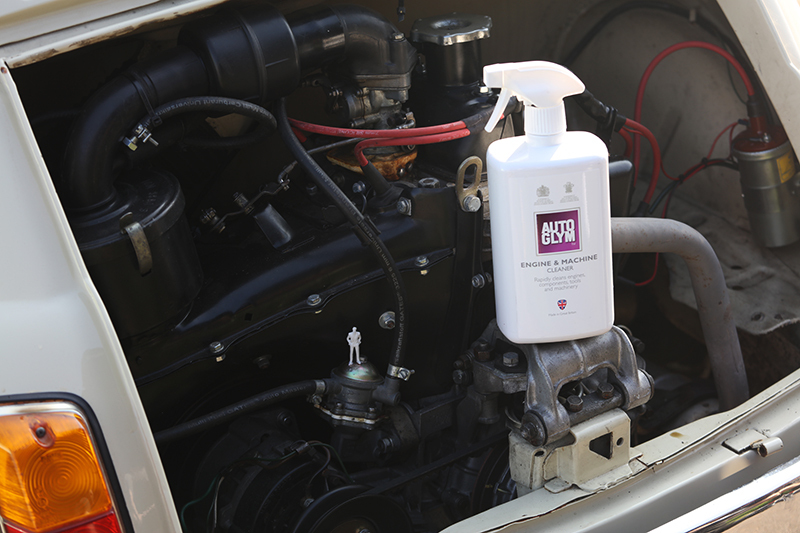 Make sure all products are removed with a hose to avoid watermarks. 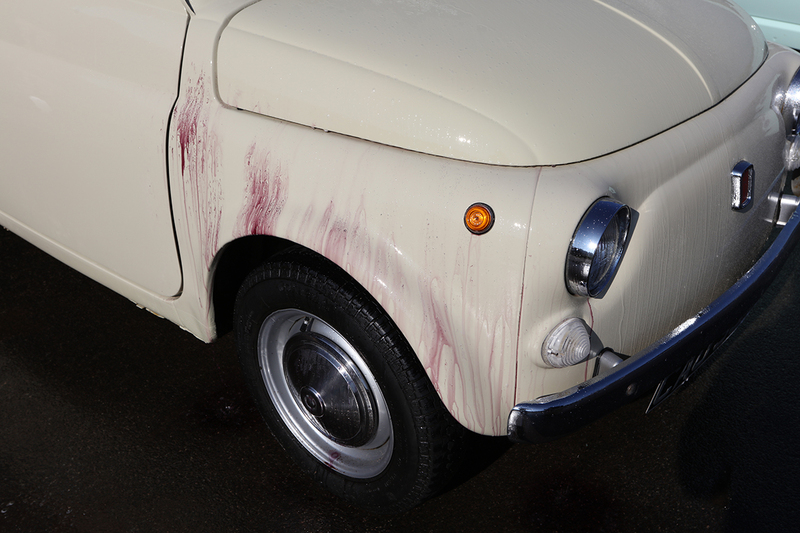 Although the paintwork was already in very good condition for a 1969 Fiat, thanks largely to the fact that the car had been fully restored prior to Toby and Olivia taking possession, the clean-up process focused on smaller details with the unofficial Autoglym mascot, Stan The Mini Man. Karl from the Autoglym TSS training team was also on hand with his jet wash and specially kitted out Transit to carry out the rejuvenation process. 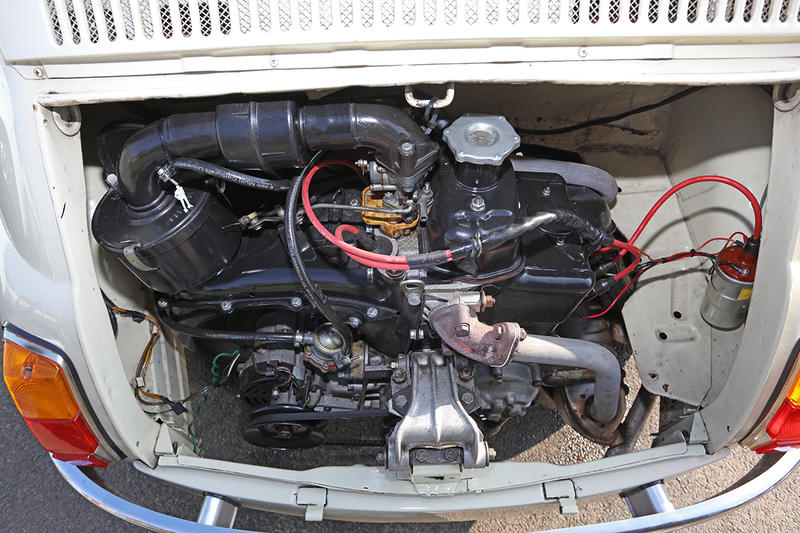 Having taken the temperature of the paintwork with a digital thermometer, Karl first addressed the engine bay and coated it in some Engine and Machine Cleaner before agitating in and around the engine bay with a soft hair brush. 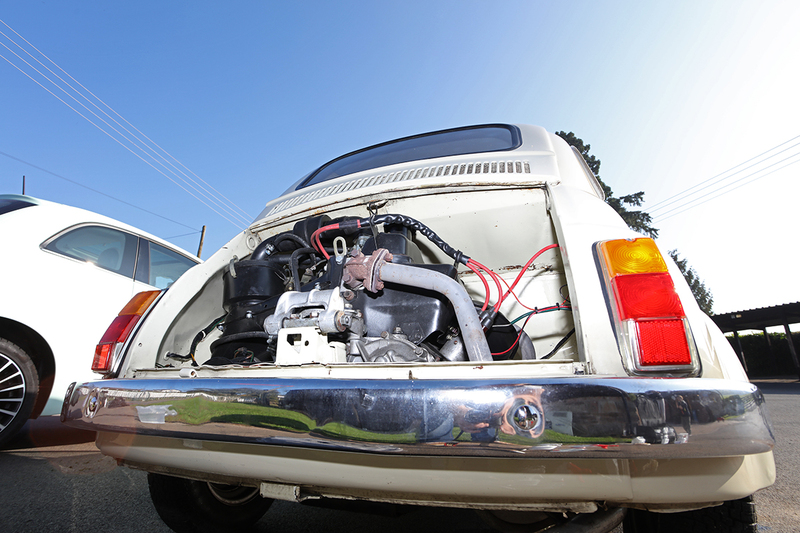 The difference following a quick hose down with some fresh water, avoiding any major mechanical components, was night and day – years of built up oil and grime was instantly washed away. 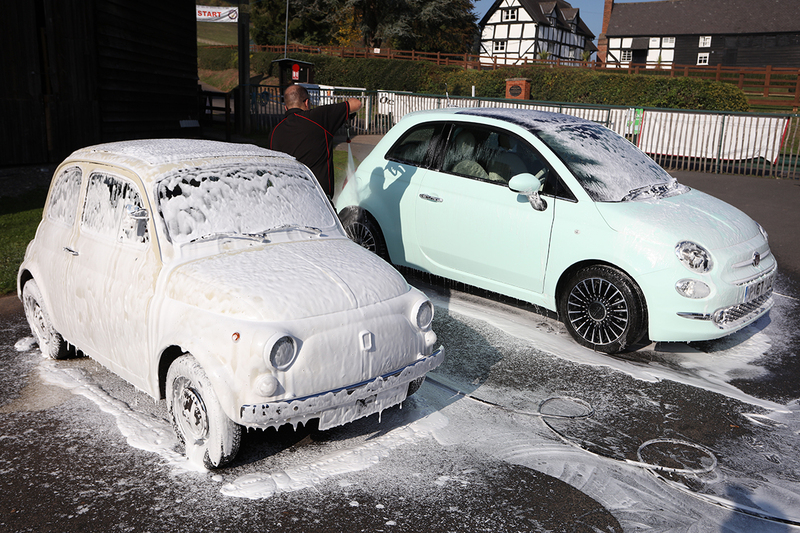 Then the real clean began using some Polar Blast snow foam applied via a pressure washer to loosen any ingrained contaminants and deposits of dirt and grime that had built up following a month of use up and down the UK. Toby confessed that he enjoys nothing more than an afternoon spent pampering one his fleet though, so we think this month of dirt and grime may not have been as extreme as some. This nicely loosened the build up before going at the tiny Italian with some luscious suds from UHD Shampoo for the overall clean. 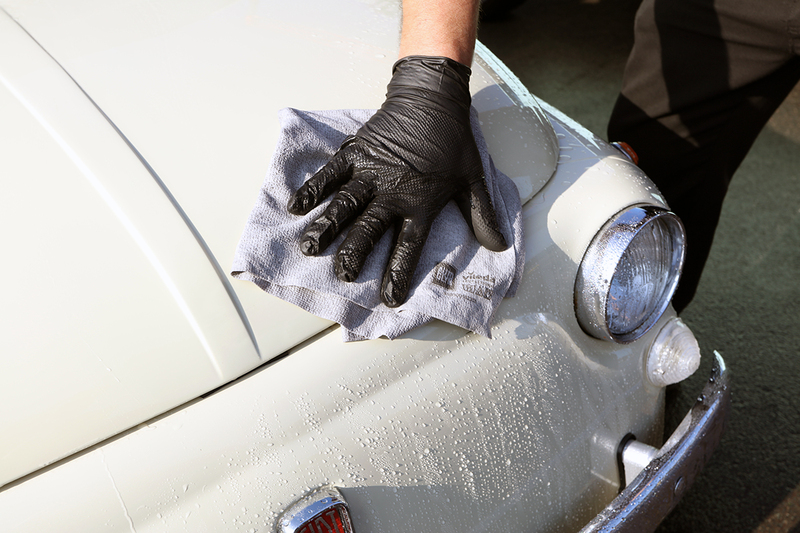 As with any cleaning process it’s important to keep contact to a minimum before touching the surface with a wash mitt or sponge. 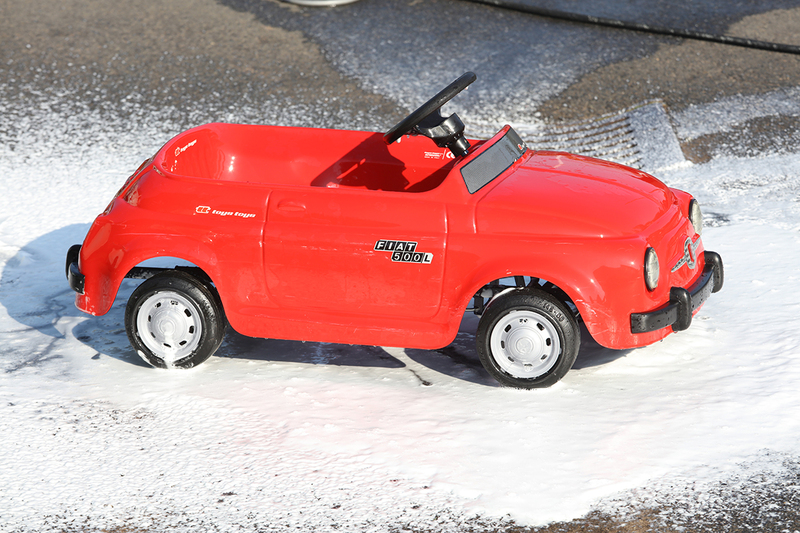 Following a rinse off with the hose, attention turned to applying some Magma iron particle remover. 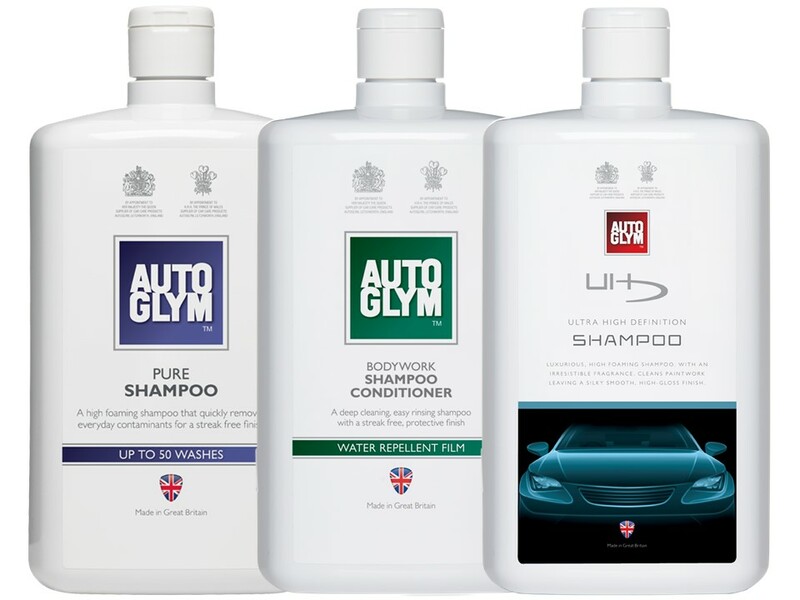 Acting almost as a liquid clay this wonder stuff accelerates corrosion of any iron contaminants that aren’t generally visible to the eye and can be found wedged into the lacquer or paintwork itself. In this instance the results were profound and clearly visible. It’s especially important to rinse Magma off before it dries and turns white. Then Karl tackled the wash phase of the cleanse. 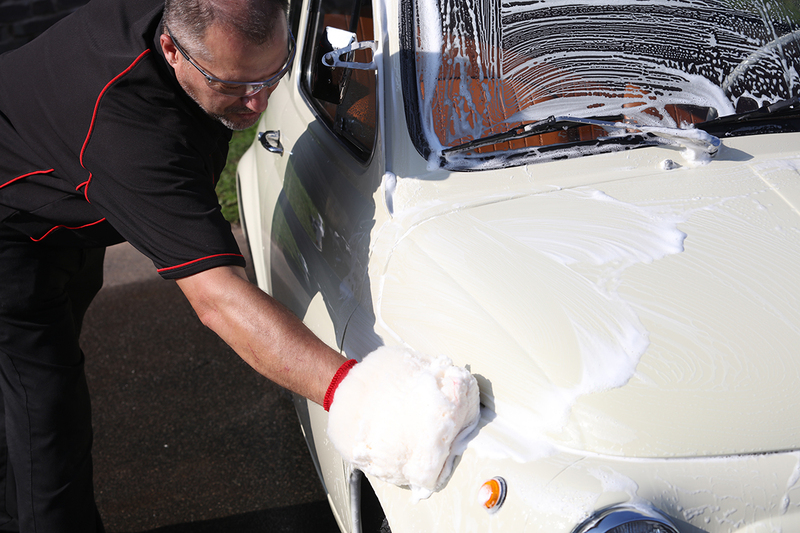 Equipped with a wash bucket of UHD Shampoo and a rinse bucket, he went at the tiny Italian with a fresh wash mitt and bathed the entire car in the luxurious suds of high-end car wash perfection. 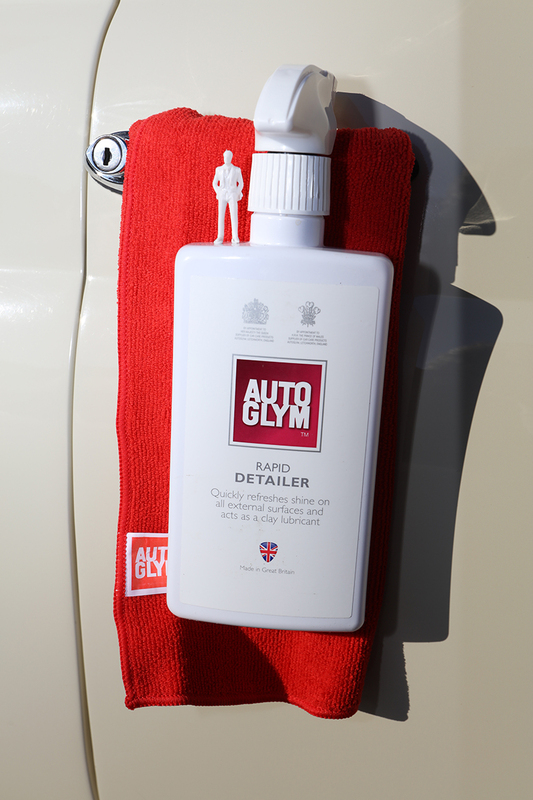 Once rinsed, the car was then lovingly dried using the new to the market Autoglym Instadry towel. 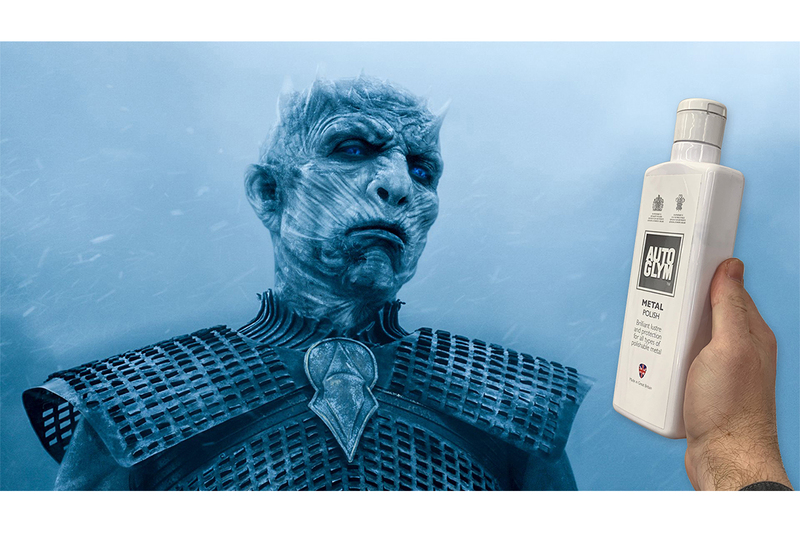 This super-absorbent, specially coated microfibre cloth results in a quick, streak-free finish on both paintwork and glass, and has been developed in association with Vileda. As the car already had a lovingly applied coat of UHD Wax upon it the beading suggested there was no need to apply again for a few months, but Shaun did go around the vehicle with a brief coating of Rapid Detailer to back up the shine and support the wax that was already on the vehicle. 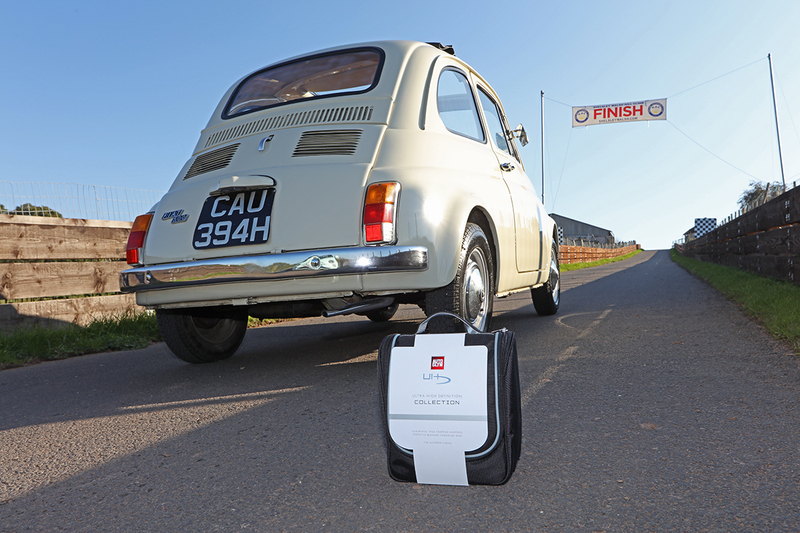 Shaun paid particular attention in between the engine cooling vents, and his meticulous attention to detail made the little Fiat look truly resplendent. Attention then turned to the canvas roof, where two options were offered by Karl – Vinyl and Rubber Care or Bumper and Trim Gel. 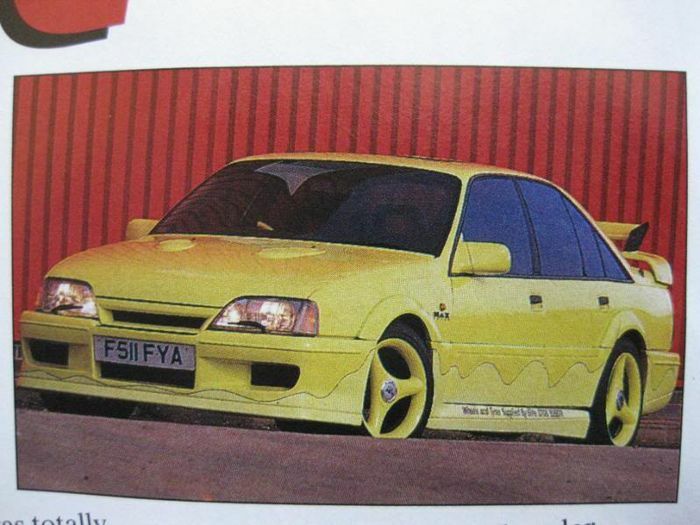 In the end he tried both to offer Toby a choice between either shiny or matt finish, but Bumper and Trim won through with it’s slightly glossier finish. 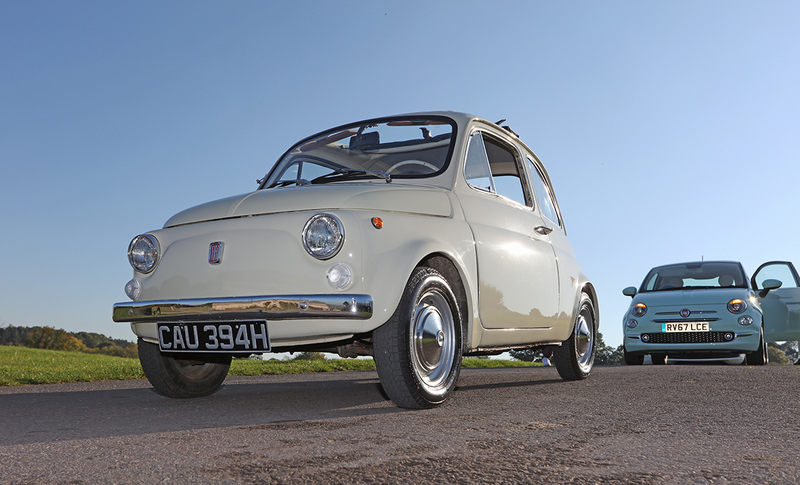 The final stage of the process was to have a bash at the rather large amount of polished metalwork that this classic little Fiat manages to pack in. Naturally, Metal Polish was the instinctive choice and the removing of some pitting from the door handles and window frames was a truly wonderful sight to behold. All in all, a winning day for the tiny little car to go forth and do BIG things for all who are lucky enough to drive or be driven in her. Thanks Toby and Olivia, and Shelsley Walsh Hillclimb for the location on the day – what a superb way to spend a day in the countryside. We’ve also got to say thanks to Toby for letting us have a ride up the hillside in the Autoglym Transit, complete with hundreds of baby pheasants that emerged from the scenery. 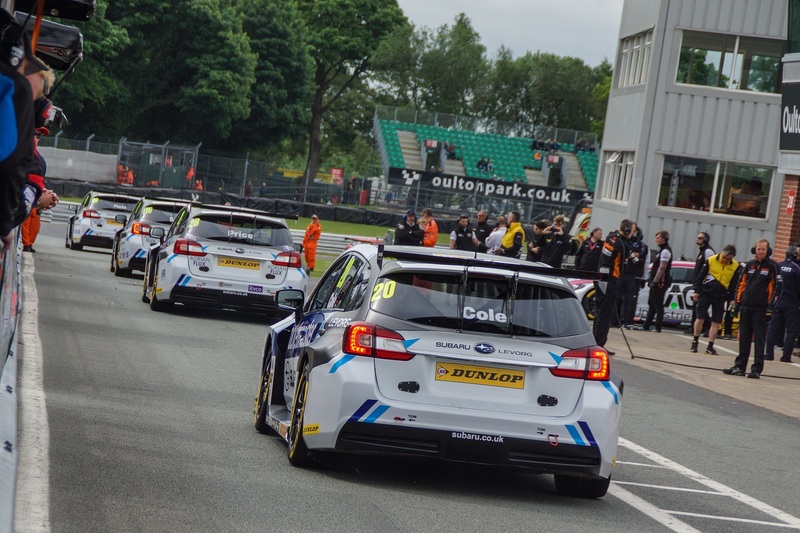 Quite how people manage to accelerate out of the final bend at around 50mph and reach upwards of 150mph by the finishing line in the very fastest cars was truly mind-boggling.